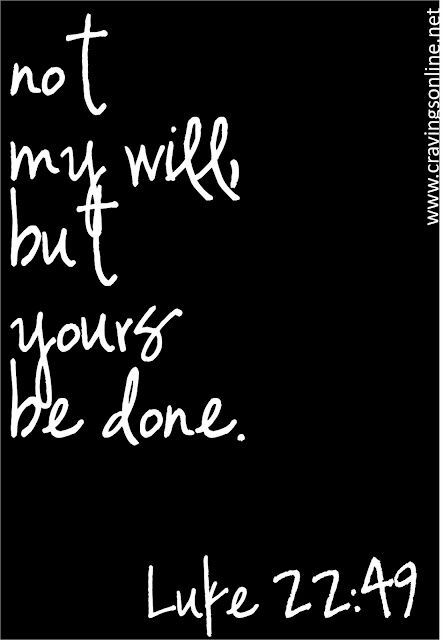 Not my will, but yours be done! Do you ever invite someone to an event and spend the whole time worrying about how they are perceiving things – are they comfortable, are they making friends, are they completely weirded out? I often find myself doing this when I invite someone to church or when a teen mom comes to club for the first time. So when we had 4 new teen moms and 2 new teen dads at last month’s club, I found myself wondering what they were thinking. There was a moment when volunteers were sharing incredible, powerful testimonies and I was really excited for the teens to hear the stories. And then babies started screaming, girls were shuffling around to calm them down and a few of them had to step out of the room. I was so bummed that these mamas were missing out on hearing how, in the midst of brokenness, God entered in to our guest speakers’ lives and changed everything. But then God gently reminded me that sometimes the message people need to hear is not the message that I want them to hear. Sometimes it isn’t even a message that they need. It might be a warm smile as they are welcomed into the room, a new friend they meet that night, or the joy they experience in laughter together that really impacts them. I am learning to trust that God will speak to people in just the way that they need and that He will speak to me in just the ways that I need as well! As I watched the 4 new girls and 2 new guys leave that night with smiles on their faces I knew they got what they needed. And in His wisdom, God used this to remind me that He will meet people exactly where they are at. He will beautifully orchestrate things to speak to people in the way they need to hear Him. My hope and prayer is that YoungLives would be a place where teen moms, dads and their babies can encounter God in exactly the way they need to. That it would be a place where they find unconditional love and acceptance. And that it would be a place where not my will, but God’s would be done.